The ThaMa 215A is the most versatile automatic syringe for the treatment of swine. Fitted with a unique multi-purpose connector, users may choose to administer vaccines directly from the manufacturer’s bottle through an all-metal vial holder, or from a light plastic feeding bottle with a handy refill plug. 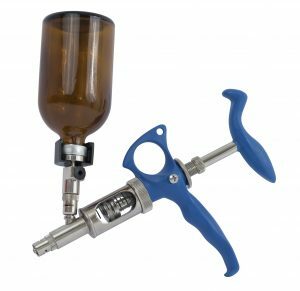 The syringe comes with an optional tube connector that can be adjusted to a large 250cc container. 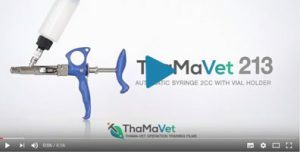 The ThaMa 215A swine syringe was ergonomically designed to provide a highly safe, user-friendly and reliable vaccinator without the need to pause production. 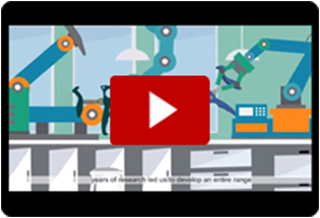 The pure properties of glass and metal were designed to ensure that all vaccination procedures are administered with confidence and without the risk of chemical interactions that can be associated with plastic syringes.